Near Hradištko is a new location which will soon be excavated. Why? New information gathered by Helmut Gaensel from a relative of the fiance of Kurt Laub named Anny(her last name has been witheld due to wishes of her family) from Landshut in Bavaria. 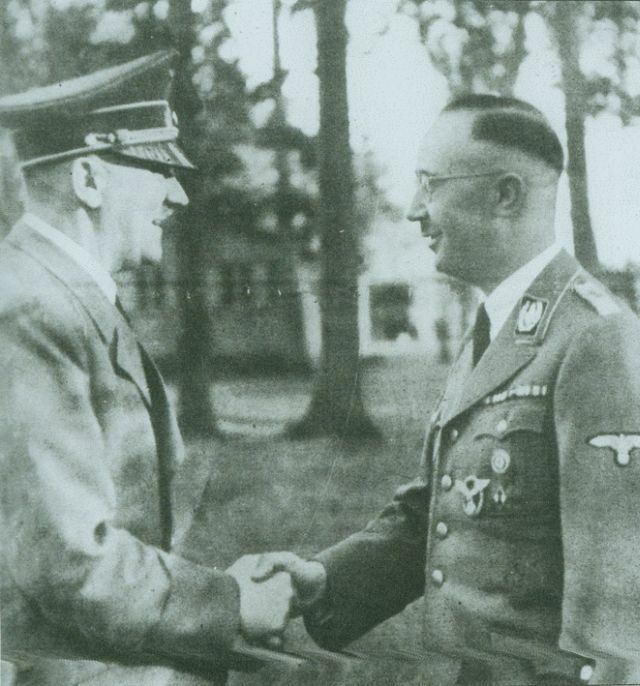 Kurt Laub was namely the leader of a military unit which witnessed an impregnable sarcophagus before it was deposited underground at the end of Apríl in 1945 at Hradištko. Kurt and Anny never married but their fates were forever linked. In Anny’s loving memory she remembered the trusted word and observations of Kurt. Documents from the end of the war are now in the hands of Helmut Gaensel and the new location for the treasure looks promising. His belief in his search confirms the new incidences of shovels lowered in and around the new location. Everything now is leading up to the investigation of the new postion as long as the required permission is granted. One of the most important witness statements comes from a member of the SS Elisabeth Obert, who stated that at the end of the war some very strange things were going on Hradištko. 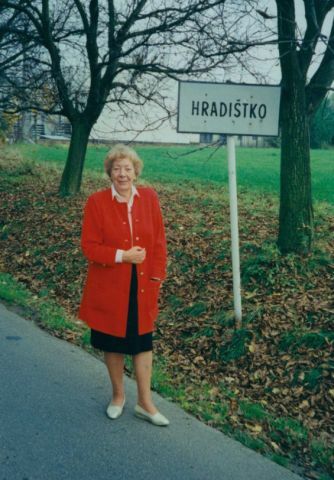 At her recent visit to Hradištko with Helmut Gaensel at her side, her first steps led to ravine of Slemín. She pointed out a place which she knew intimately. A place next to the air-raid shelter, and which she had visited uncountable times because she used to visit her daily her fiancé who at that time was an SS engineer officer and worked at the site. On 14 of April in 1945 they got married at Hradištko. 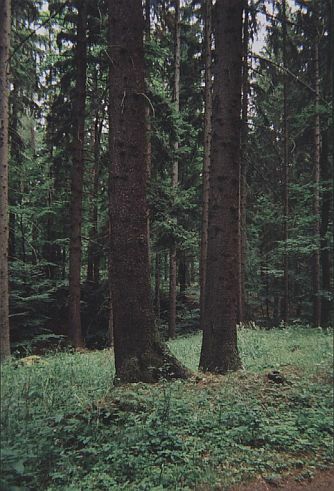 When Helmut Gaensel wanted to verify this fact he started to dig in the ravine. And what a surprise. Exactly at the described places he had found some remains of impregnation material but no traces of any boxes. The existence of some hidden things was also confirmed by a British intelligence officer. As a young officer he was assigned to watch this area after the Americans dug out and took away some boxes from Frank gallery in February in 1946. According to his statement the British acquired information that there is a detailed plan of the whole underground area. 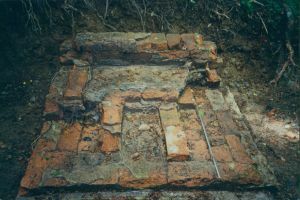 Apparently it is sealed in an empty anti aircraft shell and was hidden; embed in concrete in one of the houses in Hrašdíštek. They even know that it is under the staircase of a private house. 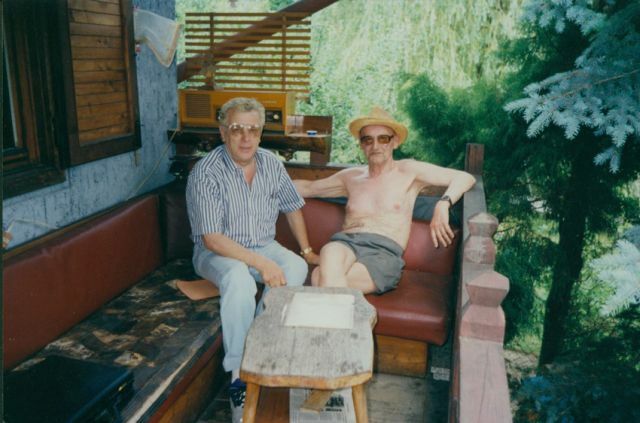 Who knows where…..
A German citizen Josef Drabesch has his own secrets. A man with a very questionable background. He took part in digs in Hradištko but his information proved useless. So far…. 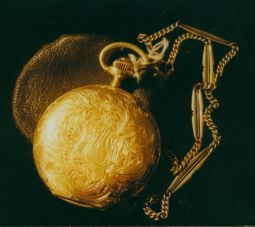 It is a well known fact that Adolf Hitler used to give gifts to his faithful. 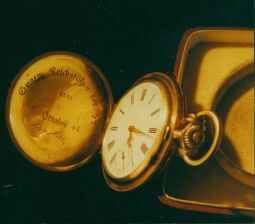 This watch was given to Heinrich Himmler – for his 44 birthday. They had known each other since 1923. He too had known about the hidden treasure at Hradištko but was unable to tell anybody about it. After his arrest on 22 of May in 1945 he committed a suicide. The latest information in Helmut Gaensel’s possession. 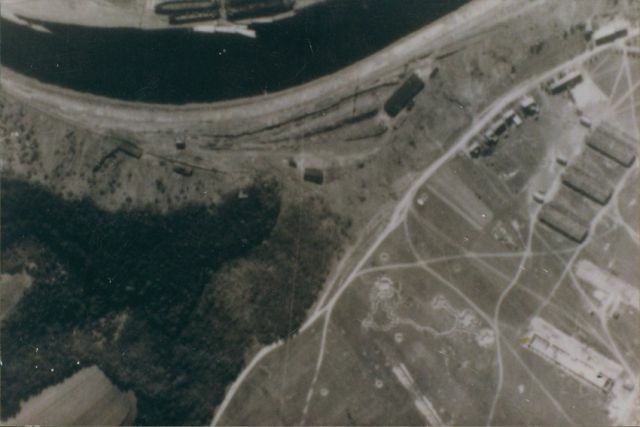 A photograph taken by reconnaissance aircraft in March 1945. A significant fact Helmut Gaensel had not known about is the shooting range at the bottom right side of the picture. Helmut Gaensel has not known about it – his search was based on location of other shooting range which is still on record at present. Now it is becoming evident that the witnesses talked about the shooting range shown in the picture. It is clear that Helmut Gaensel has to reassess his objectives before starting his new digs. He is supported by several sponsor groups from the USA as well as from Germany. They all want to renew the digs in a grand scale.